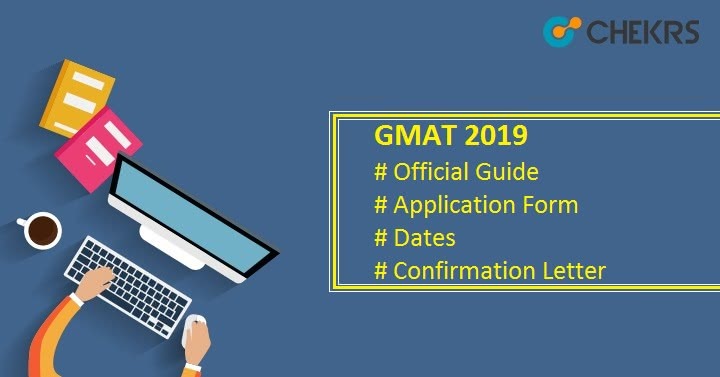 GMAT 2019: GMAT is a national level entrance exam for Management courses. It is also known as Graduate Management Admission Test. GMAT is being organized by the Graduate Management Admission Council (GMAC). Candidates can apply for it 5 times in a Year to get admission to MBA program. For appearing into GMAT Entrance exam candidates must fulfill all the previous but not fixed GMAT Eligibility Criteria. Some of them are listed below. The minimum age required to apply for GMAT is 18 years and there is no upper age limit. Mussed qualified/Passed their bachelor degree from any recognized college or university. Candidates are not allowed to appear in the examination more than five times in a year & not more than 8 times total. GMAT Application Form or Registration will be opened throughout the year. Candidates need to fill the online form through Official website. Before filling the application form, candidates are required to read all the instructions carefully. Then Move to GMAT Registration Process. GMAT Application Fee is US $250. After Conversion GMAT Registration Fee / Application is Rs. 17027.50/- in India. It can be paid through mode. In Online mode candidates can pay the fee using Visa Card/Master Card/American Express/JCB cards or through Cashier’s Checks/Money Orders/Personal Checks. Candidates have to first visit the official website. Then they will find Registration link which will guide them to the GMAT Registration Form. After clicking on the link candidates will be redirected to the registration form, where they need to provide all the asked details for the registration procedure. After providing all the details and clicking on the button, Candidates will get an E-Mail with their login details. Now again visit the website or click on the link you got in the email to fill the application form. After reaching out at Website, log in there and move to the Application Form. Now Fill all the asked details and Upload all the images, Take a print out and submit the form. After it Pay the required fee through the available mode of payment. And download/Print the receipt. Ahmedabad, Bangalore, Bhubaneswar, Chennai, Cochin, Coimbatore, Dehradun, Gurgaon, Guwahati, Hyderabad, Indore, Jaipur, Kolkata, Lucknow, Manipal, Mohali, Mumbai, Mysore, Nagpur, New Delhi, Noida, Patiala, Patna, Pilani, Pune, Ranchi, Tiruchirappalli, Trivandrum, Vellore, Vijayawada & Vishakhapatnam. After Filling the Application Form Candidates will search for content related to the Exam for their preparation. So to makes things easy for you we are also providing GMAT Exam Pattern here. NOTE: Candidates will be allowed to take 2 optional 8-minute breaks during the exam. GMAT Syllabus will be from the subjects Analytical Reasoning, Verbal, Quantitative and Integrated Reasoning. We are providing here the weight of each Section. The authority will release a Confirmation letter on the official website. Candidates need to Login on the official website and access their Confirmation letter. GMAT 2019 Confirmation Letter will be required at the exam center. So, download the admit card/ Confirmation letter and print it out. Also, don’t forget to bring it along with a photo id to the Exam Center. Take the help of reference books and GMAT Previous Year Paper. The Exam Authority will also release Answer key after the Examination. The answer key will be available on the official website. The candidate has to Visit the official site and then they need to login there. They will have to find the GMAT Answer Key. After it, the answer key will appear on the screen. Download it. And Match your responses. The result will be released on the Official website. Candidates need to Check and download the GMAT Result pdf after logging to the official website. With the result, Authority will also prepare and release the GMAT 2019 Merit List. Qualified Candidates Name and Roll Number will be listed on it. To be listed on the merit list candidates have to obtain marks more than the GMAT Cutoff Marks. Exam authority will also provide the scorecard to all the qualified students. Candidates have to visit the official website and log in on it to download their GMAT 2019 Scorecard. GMAT Score Card will be considered for admission into various colleges. Thus Candidates will get admission to MBA courses into various reputed University and Colleges across India.